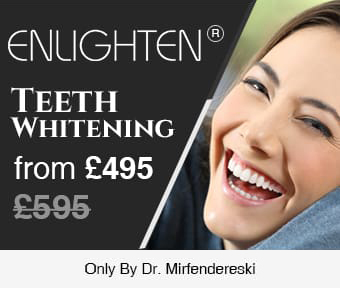 Our skilled and experienced dentist in the W1 area can help you maintain good dental health. Mouthwash can be used to help keep your mouth clean and minty-fresh. Read on to find out exactly why mouthwash should be an integral part of your dental care routine. How can mouthwash aid oral health and hygiene? Antiseptic mouthwash contains agents that fight against bacteria. Mouthwashes containing a 70% concentration of alcohol are most effective at killing bacteria – although such a high level of alcohol may dry out the mouth. Hydrogen peroxide is another effective bacteria-eliminating ingredient, which can also relieve minor mouth irritation. There are many causes of bad breath, and in most cases the unpleasant smell comes from bacteria building up in the mouth. Most mouthwashes help neutralise odour-emitting compounds and reduce the amount of bacteria in the mouth. If you suffer from chronic bad breath (halitosis), you will need to visit your expert dentist. The friendly private dentist team at our clinic in London can develop a simple and efficient treatment plan for bad breath. 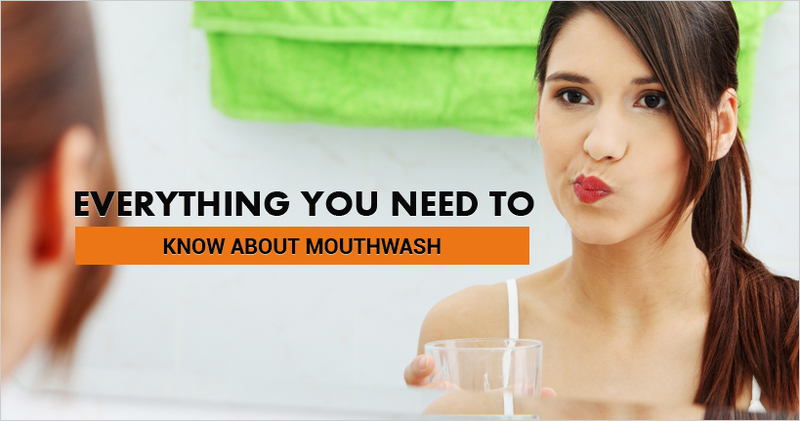 Mouthwash contains fluoride, a natural mineral which is highly beneficial to dental health. Fluoride works to replace lost minerals and restore tooth enamel. It also protects against acid erosion, and helps tooth enamel become more resistant to acid attacks. What's the most effective way of using mouthwash? Most people don't always read the directions for use on the back of the bottle, and so mouthwash doesn't always work as well as it should. To ensure a healthy mouth, remember to read and follow the instructions. A general rule of thumb is the longer the mouthwash is swished around in direct contact with your teeth and gums, the more effective it is. Mouthwash has to pass the same tests as any other medicine on the market, so you can rest assured that it's safe to use. However, mouthwash that contains alcohol shouldn't be given to children under six who are likely to swallow it. Fluoride-based mouthwashes may also need to be avoided in some cases. A large and longterm consumption of fluoride can be harmful, particularly to children. Mouthwash should always only be used as directed by Wimpole street dentist. If swallowed in excessive amounts, seek medical advice immediately. Which mouthwash should I choose? A fluoride based mouthwash is right for people who have had fillings in the past or are at a high risk of dental decay. Alternatively, those who struggle with bleeding gums or bad breath will get effective results with a chlorhexidine based mouthwash. Consult with your dentist for expert advice on choosing the best mouthwash for you. It's important to keep in mind that mouthwash should never replace regular brushing and flossing of the teeth. Brushing and flossing are vital to removing bacteria between teeth and under the gum line. Mouthwash enhances those results for greater dental health.